The statistic depicts the number of worldwide Chromebook unit shipments in 2014, with estimates to 2023. In 2014, a total of 5.3 million Chromebooks were shipped around the world. 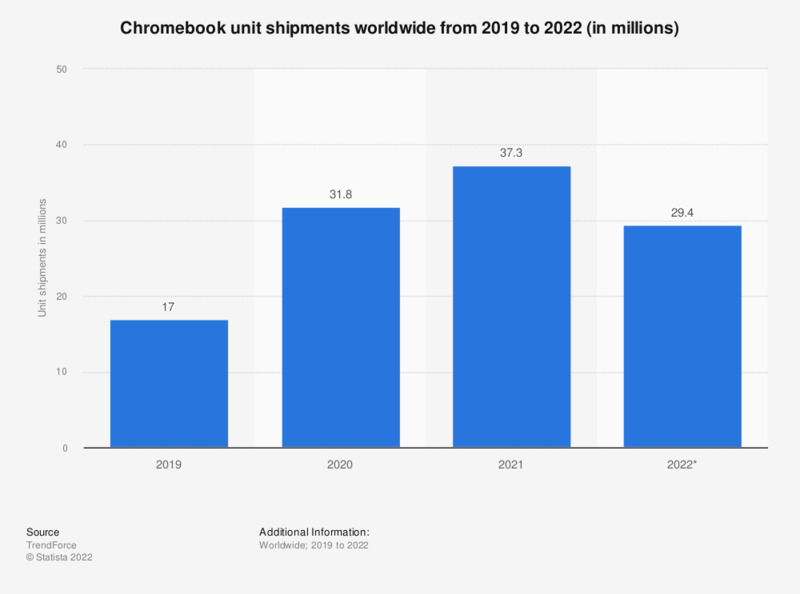 In 2023, Chromebook global sales are expected to reach 17 million units. Figures from 2015 to 2022 are an estimate based on the 2014 and 2023 shipment figures published by the source, assuming a constant annual growth rate of 13.8 percent.